Access Medicine is a subscription-based resource that features leading medical content, plus multimedia, self-assessment, algorithms, case studies, and more. Cochrane Library - (ISSN 1465-1858) is a collection of six databases that contain different types of high-quality, independent evidence to inform healthcare decision-making, and a seventh database that provides information about Cochrane groups. JSTOR - JSTOR is a growing digital library of academic journals, books, and primary sources. Medicines Complete - is an online platform which offers access to world leading drug and healthcare resources. Medicines Complete unique collection of clinically-proven, unbiased pharmaceutical information provides practical guidance and insight to pharmaceutical and clinical practitioners, researchers, and regulatory professionals. Medline (PubMed) - A service of the U.S. National Library of Medicine, PubMed was released in 1996 as a free digital archive of references and abstracts on life sciences and biomedical topics. PubMed comprises 20-million-plus citations for biomedical literature from MEDLINE, life science journals and online books from around the world. Some 11.5 million articles are listed with their abstract and 3.1 million articles are available in full-text for free. ProQuest (ProQuest Medical Library Database) - ProQuest is committed to empowering researchers and librarians around the world. Its innovative information content and technologies increase the productivity of students, scholars, professionals and the libraries that serve them. Through partnerships with content holders, ProQuest preserves rich, vast and varied information – whether historical archives or today’s scientific breakthroughs – and packages it with digital technologies that enhance its discovery, sharing and management. For academic, corporate, government, school and public libraries, as well as professional researchers, ProQuest provides services that enable strategic acquisition, management and discovery of information collections. TRIP Database – (Turning Research Into Practice) launched in 1997, is a search engine designed to allow clinicians to quickly find answers to their medical questions using the best available evidence. Trip’s founders realized medical professionals were being forced to perform time-consuming searches at multiple websites to get at the most relevant information. So, they designed TRIP as a meta-search engine, allowing users to both simultaneously search thousands of databases, medical publications and resources, as well as easily filter the results: limiting searches to the most stringent, highest-quality medical evidence or expanding them to include results like patient information, news articles, etc. UptoDate – UpToDate® is an evidence-based, physician-authored clinical decision support resource which clinicians trust to make the right point-of-care decisions. More than 6,500 world-renowned physician authors, editors, and peer reviewers use a rigorous editorial process to synthesize the most recent medical information into trusted, evidence-based recommendations. 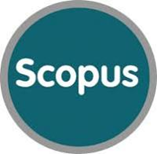 Scopus Database – Scopus is Elsevier’s Largest abstract and citation database launched in 2004. Scopus covers nearly 36,377 titles from approximately 11,678 publishers, of which 34,346 are peer-reviewed journals in top-level subject fields: life sciences, social sciences, physical sciences and health sciences.